Superior Workmanship: Built to last! When it comes to our telescoping microfiber dusters, we make a point of using nothing but exquisite quality materials and latest production processes, so that we can ensure that they will last you for many years to come! 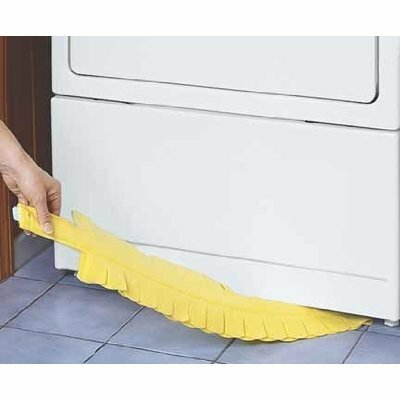 Efficient and Easy: Bending And Expansion This lightweight cleaning tool duster can be used by anyone. Extendable and bendable makes it ultra-easy to clean anywhere in your property. Can be used by men, women, kids and ideal for senior citizens. Unmatched Performance: Reach High Ceilings No more chairs or dangerous ladders to climb on. Clean and dust your window blinds and ceiling fans the safe way, picture frames, car. With the extendable pole, you can reach cobwebs on the ceiling. Easy To Clean: Washable Duster Head This microfiber duster head is easy to keep clean. Duster's head is detachable, simply slide the microfiber top off the duster core and hand wash with warm or low heat water! Assurance Service - Furein We offer you 12 Months Warranty and 24 Hours Customer Service. Any problems about the Feather Dusters, please send email to us, it is our pleasure to help you. Give cobwebs the brush off with the Original/Dazzle Webster Duster. PVC fiber bristles with split-tips capture and hold fine dust, dirt and webs. Reaches into high corners and picks up dust bunnies without having to bend over. Color may vary white/blue-purple. 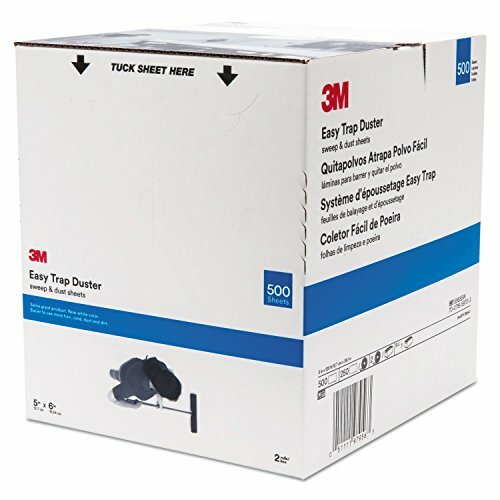 Give your commercial cleaning crew a secret weapon- 3M Easy Trap Duster- sweep & dust sheets. Disposable dust cloths, compatible with nearly all of your janitorial sweep & dust tools, trap up to 8X more dust, sand & dirt than a competitive sweeping dust cloth brand. The product glides through damp floors and puddles effortlessly to pick up debris with ease. These disposable sheets are made with a minimum of 60% recycled content and are reversible for maximum product usage. Sheets come in rolls of 6 easy tear increments. 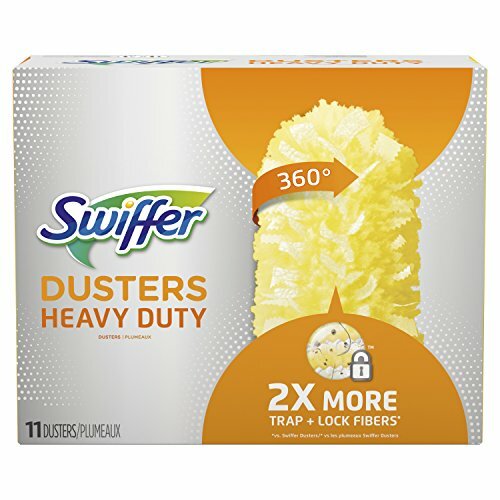 No janitorial supplies closet would be complete without 3M Easy Trap Duster- sweep & dust sheets. Disposable dust cloths trap up to 8X more dirt, dust and sand than and a conventional flat fringed cotton dust mops or a competitive sweeping dust cloth brand. Ideal for hair salons, pet owners, veterinarians, groomers, hotels, hospitals & clinics. 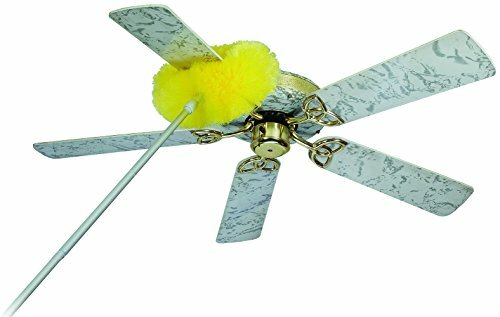 The Estilo Ceiling Fan Duster lets you clean ceiling fans and other hard to reach spots without dangerously climbing on chairs or ladders. 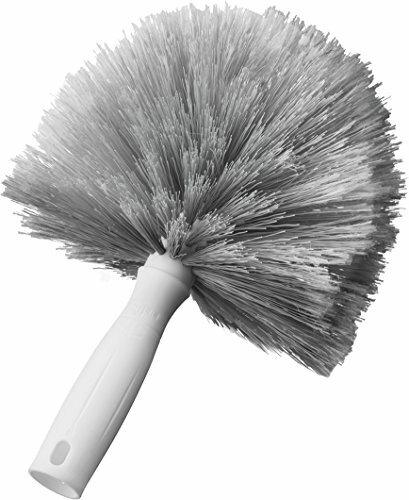 The double-sided brush removes dust from both sides of the fan blades in one swoop using static electricity. Also, works great as a dust mop! Fits ceiling fan blades up to 6" wide handle easily adjusts to 27, 37, or 47 inches. 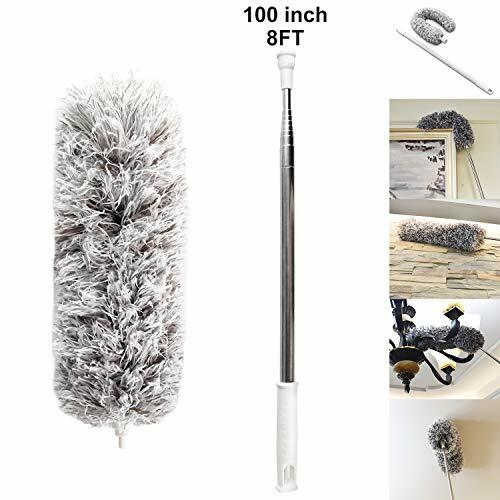 Superior & durable quality material our build to last and superior hand duster features a high quality material, The microfiber technology with microscopic fibers that grab and hold dirt, dust and moisture effectively, The stainless steel telescopic pole is lightweight but durable in use. Superior workmanship will last you for many years to come! Bendable & Extendable hand duster thanks to the bendable and extendable microfiber head, you can adjust it to any angle and length as you need. 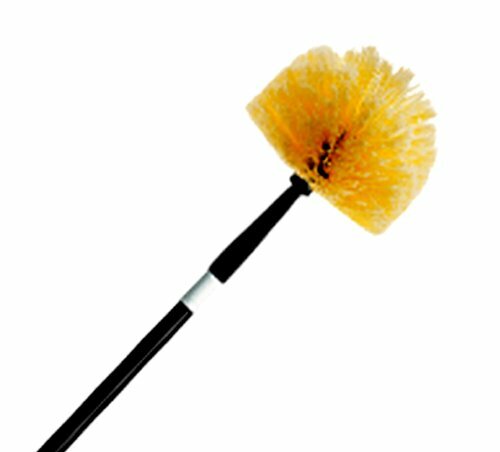 This Microfiber Duster is designed to clean any high Areas and corners. Ideal for cleaning high ceilings, window screens, tall furniture, mounted tv's, and other hard to reach areas. 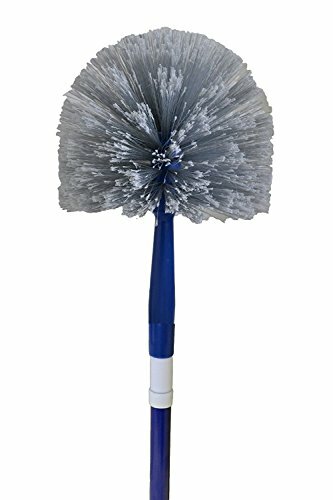 Versatile & easy to use and clean This microfiber Long duster head is washable and easy to keep clean. You can either shake it clean or gently hand wash it in Warm water with a little dish soap. Rinse the dish soap off and allow it to air dry. This multi-use duster is versatile and easy to use for your daily use. Wet or dry use better time saving this lightweight cleaning tool duster can be both wet or dry use for maximum versatility. The extra long telescoping pole can reach up to 100'' And requires no ladder for high Areas' Cleaning. A better time saving tool can be easily used by men, Women, or kids as well. 100% Satisfaction : We're aiming to provide each customer with the highest standard of customer service. If, for any reason, our Microfiber Duster doesn't satisfy you, simply contact us, We'll replace you a brand new replacement or 100% refund. Buy with Confidence! 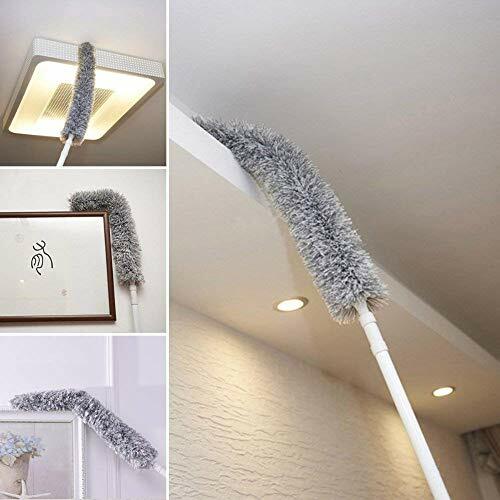 Say Goodbye To Dusty Shelves & Bookcases With This Premium Quality Telescopic Microfiber Duster By Praity-It'sWhere PRActicality Meets QualiTY! 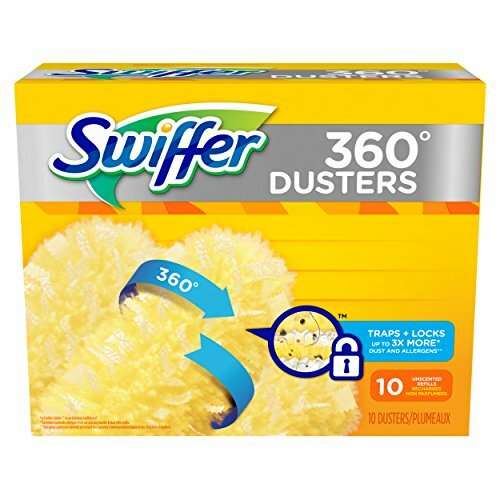 Are you looking for a high-end quality duster that won't just move the dust around your place? Do you want a practicalpiece of cleaning equipment that will allow you to clean even the most difficult corners? If yes, then today is your lucky day! Praityhas just the thing you were looking for! 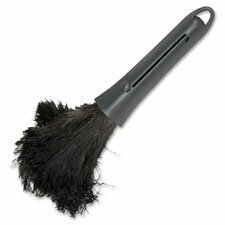 Enter The Superior Telescoping Duster That Will Make Your Life Easier! Dusting your house can be a reallytricky business, especially if you are no relative of Michael Jordan, which means you have to use a ladder in order tosuccessfully remove dust from your ceiling fan or the top shelf in your kitchen! Well, worry not, for Praityhas got the solution to your problem! Our duster is 35" long from the short handle to the tip of the microfiber head -but when you extend it reachesan incrediblelength of 75"! Plus, its head is bendable, which means that there's almost no place that it can'treach! It'sperfect to use at your house, your office, or your college dorm! Made of 80% polyester and 20% polyamide, our duster's microfiber head traps dust easilyand holds it, instead of just moving it from one place to the other like conventional dusters. Its sturdy aluminum handles make for an easy grip, and the head is also eco-friendly and machine washable! 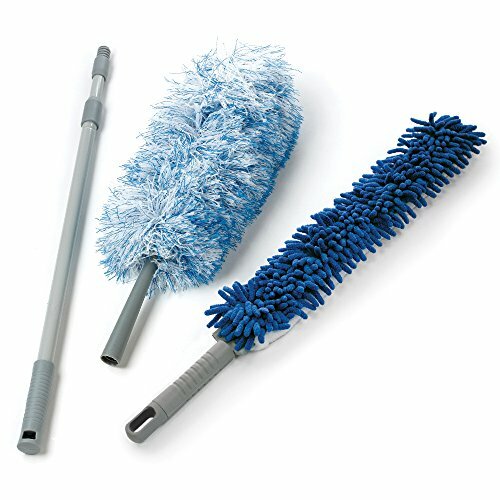 Place Your Order For Your Premium Quality Microfiber Duster Now -Before We Run Out Of Stock! ENJOY YOUR DUST-FREE PLACE! Thanks to this exquisite quality microfiber duster for cleaning, you will forget what dust even means. It is made of 80% polyester and 20% polyamide, which practically means that it traps dust and holds it! REACH FOR THE STARS! Okay, we admit it, it may not be able to actually reach the stars, but our telescoping duster is tall enough to certainly reach your ceilings, window blinds, ceiling fans, moldings, and bookcases since it can become 75 long. Duster with extension pole included! A MUST-HAVE CLEANING ACCESSORY FOR ANY HOUSEHOLD! With a flexible, bendable duster head measuring 4 in width, 20 in length and 2 thickness, our premium duster can fit in even in the smallest, trickiest place that is 1 wide! EASY TO CLEAN! Simply slide the microfiber top off the duster core and machine wash with warm or low heat water! Reach where your ordinary duster can't go with this flexible duster. Its flat shape is perfect to reach tight spaces between and under heavy household items like the refrigerator, drying and washing machines, shelves, and more! Use wet or dry. Machine washable. Measures 30 1/2" L x 5" W.
Measures 30 1/2 L x 5 W.
Brand: BW BRANDS | Manufacturer: B.W. 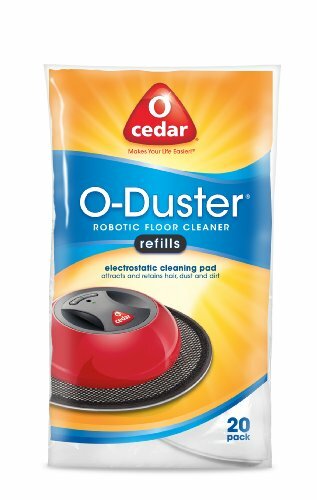 Prepare your O-Cedar O-Duster for an effortless and effective clean. The electrostatic disposable cloths attach to the O-Cedar O-Duster s soft base to attract and retain dust and hair. Duster features extra-soft ostrich feathers that are perfect for dusting irregular surfaces, small spaces and around delicate items. Fine, soft feathers have more surface area to effectively grab and hold dust particles. Retractable design lets you pull the feathers into the handle with a sliding lever. Plastic handle features a hang-up hole for convenient storage.